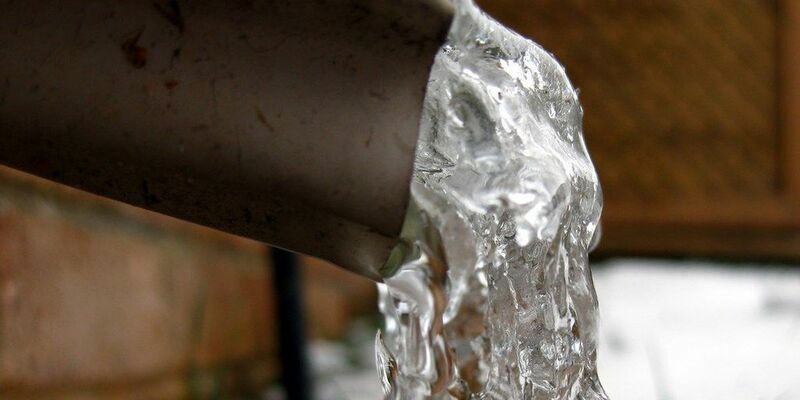 MEMPHIS, TN (WMC) - You've probably heard it hundreds of times: Prevent your pipes from freezing. Frozen pipes can burst, causing the homeowner thousands of dollars in damage. That's why it's so important to do your best to prevent them from freezing. However, if your pipes do freeze, how will you know and what can you do to fix the problem? Brock Alverson with Choates Air Conditioning, Heating, & Plumbing said if you turn on your water and nothing comes out--or the water pressure is very low--it could be a sign that your pipes froze. "It could freeze in just a little small section, just like that, but that's enough," Alverson said. When water freezes, it expands. that expansion can cause pipes to burst. So when the frozen pipe thaws, the water will leak through the broken pipe. "If you are dealing with frozen pipes and you just say 'Hey my pipes are frozen.' And you don't shut the water off, and it does develop a pinhole leak or split, it could flood your house out," Alverson said. Plumbers have already been called to repair burst pipes in Memphis. Alverson expects to receive more calls when the temperature rises above freezing. If you turn on a faucet and only a trickle comes out, your pipe is probably frozen. Pipes are more likely to freeze when they're in exterior walls of a home. If you think your pipes are frozen, keep the faucet on. The running water will aid ice melting within the pipe when you begin thawing the pipe. Apply heat to the frozen pipe using an electric heating pad, an electric hair dryer, or a portable space heater. You can also wrap pipes with towels soaked in hot water. Do not use a blowtorch, kerosene or propane heater, charcoal stove, or any other open flame. Apply heat to the pipe until water pressure is fully restored. If you cannot locate the frozen pipe or you cannot thaw it, call a plumber. Check all faucets in your home for frozen pipes. If one freezes, others are likely to follow suit. For more tips on how to keep your pipes from freezing, click here.